Of course, we’re always down to hear what you think, so feel free to drop us a line with any questions or feedback – it’s thanks to input from readers like you that we’ve been able to grow bigger and better than ever. Tell us what you think about the new additions! 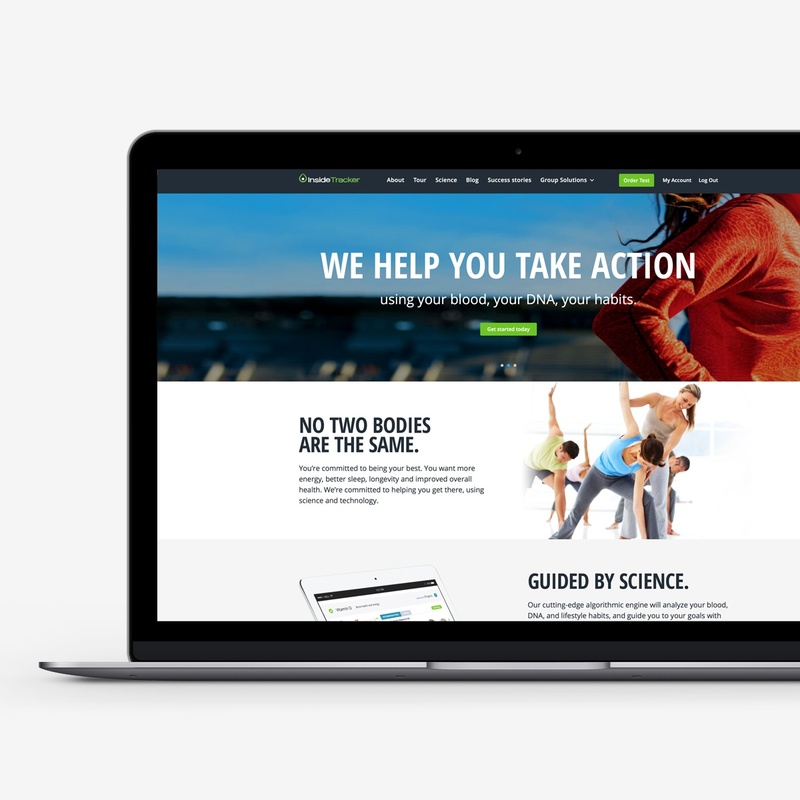 Earlier this year we made a splash when we announced our dive into DNA with GoalGetter. 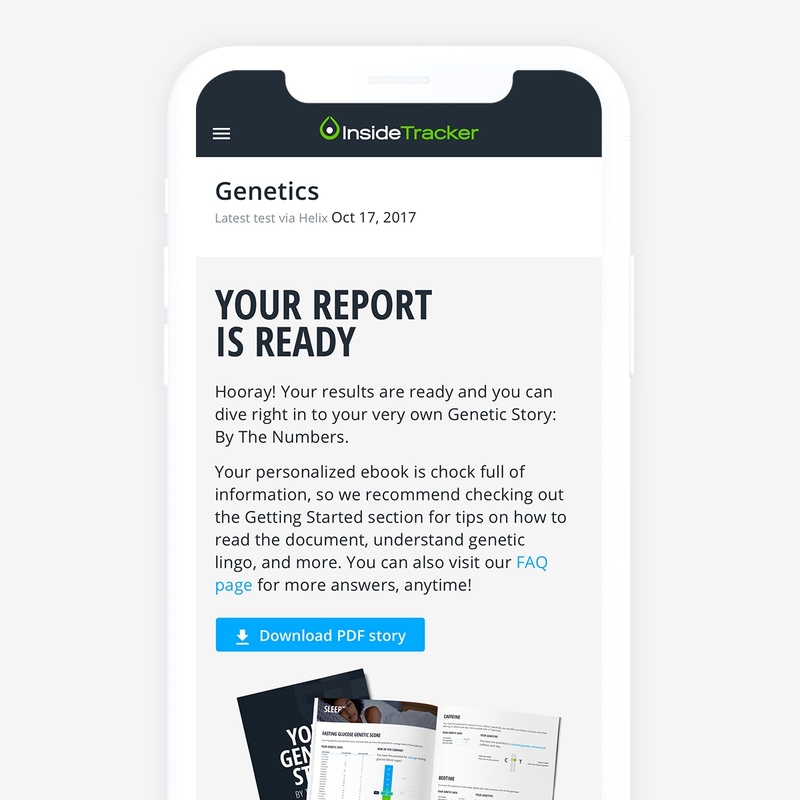 Now, you can access and download your very own personalized genetics report from right inside the platform. Start your genetics journey here. 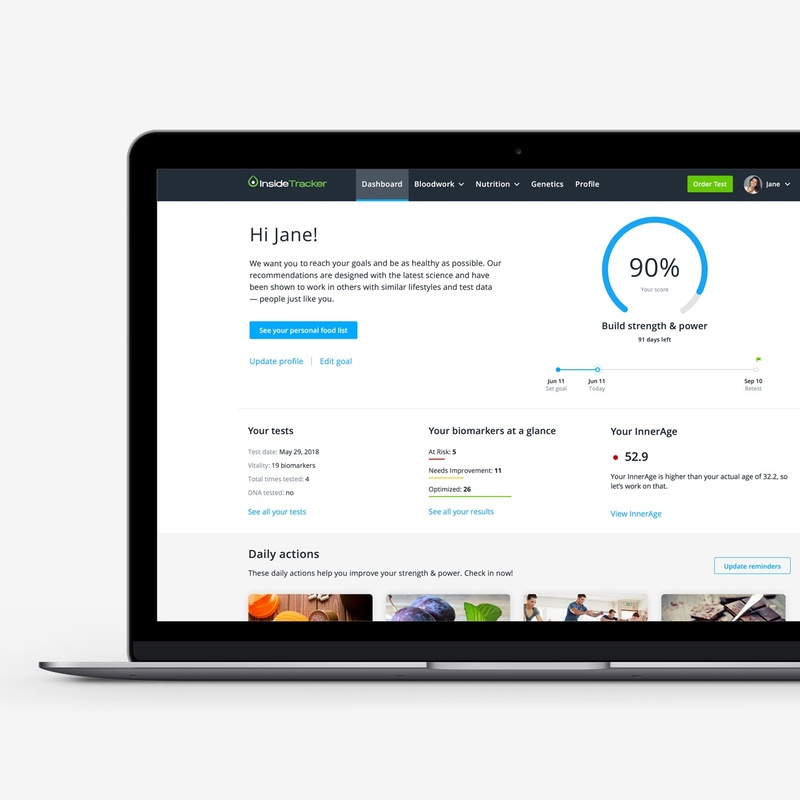 Whatever you’re looking to improve, chances are we can help. We’ve added a few new goals to the list, including: Improve Metabolism, Boost Immunity, and Cardiovascular Health. 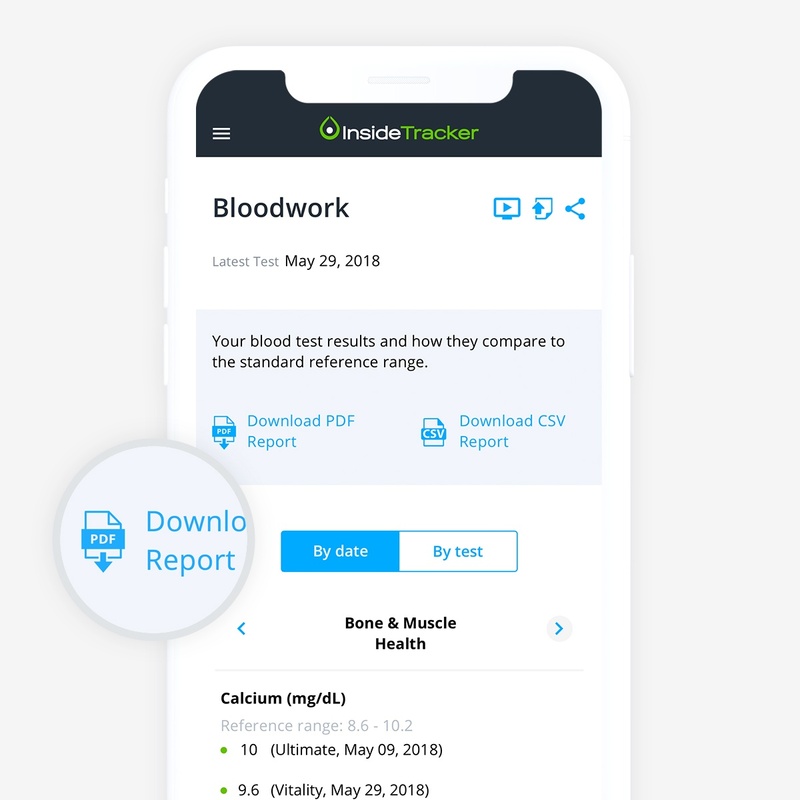 An upgraded results review process makes it easier to understand what clues your blood is providing, and helps you choose the right actions for your plan with even better precision! 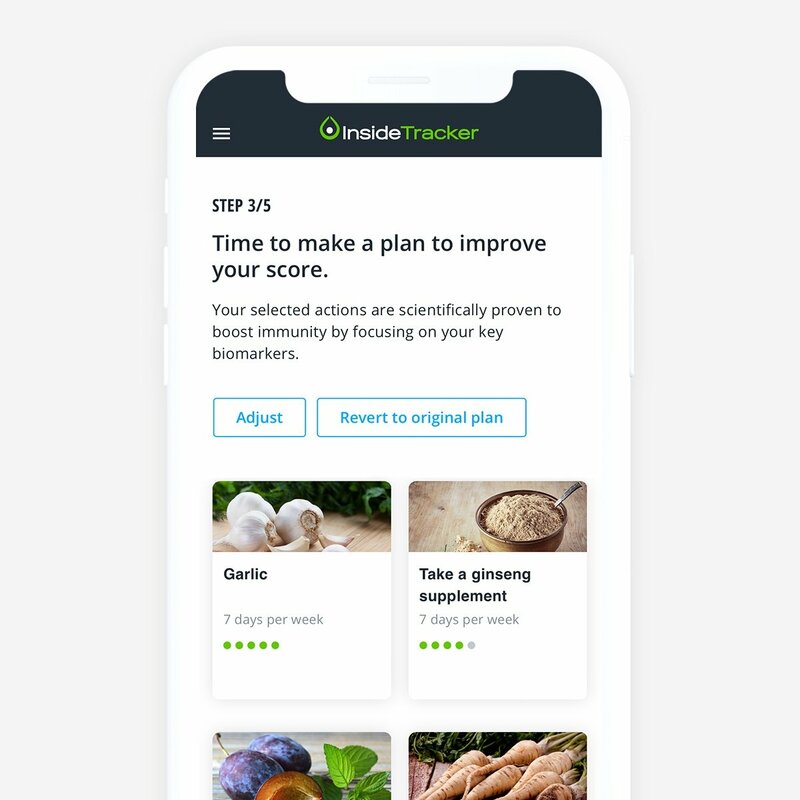 It’s sleekly reorganized to place the most important information at your fingertips – from your biomarkers at a glance, to your timeline, daily actions, and personal food list. You’ve chosen your goal, but how do you know how close (or far) you are to achieving it? No two bodies are the same, and no two paths to the same goal are the same, either. 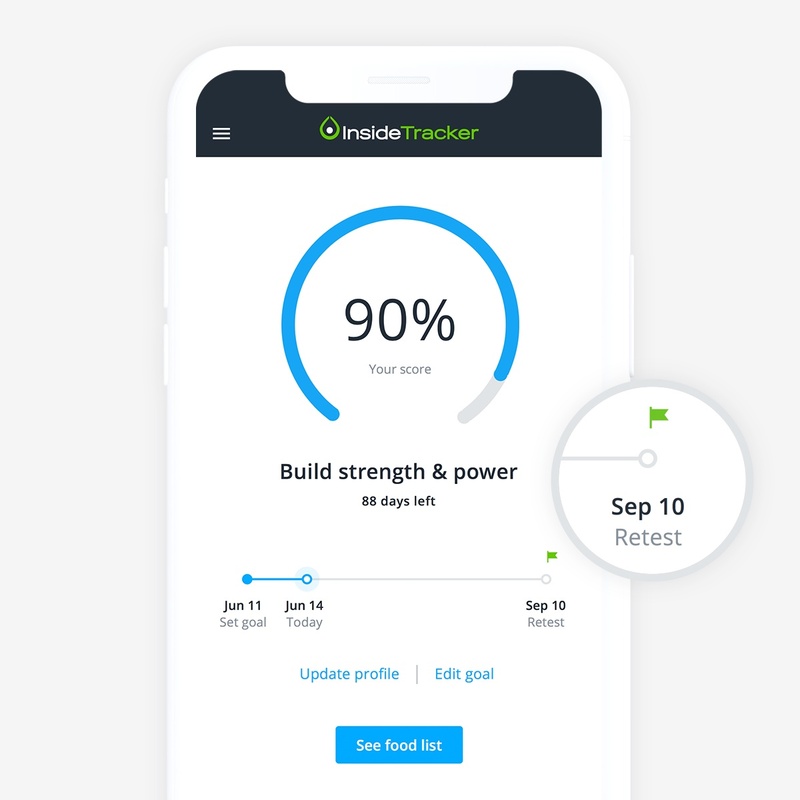 Think of the optimization score as your personal North Star: it shows you that you’re traveling in the right direction, and your current distance from your goal. We’re all about the end goal, but how long will it really take to reach it? While your optimization score will show you how close you are, it’s science that will tell you the ideal timeline you’ll need to get to the endzone. 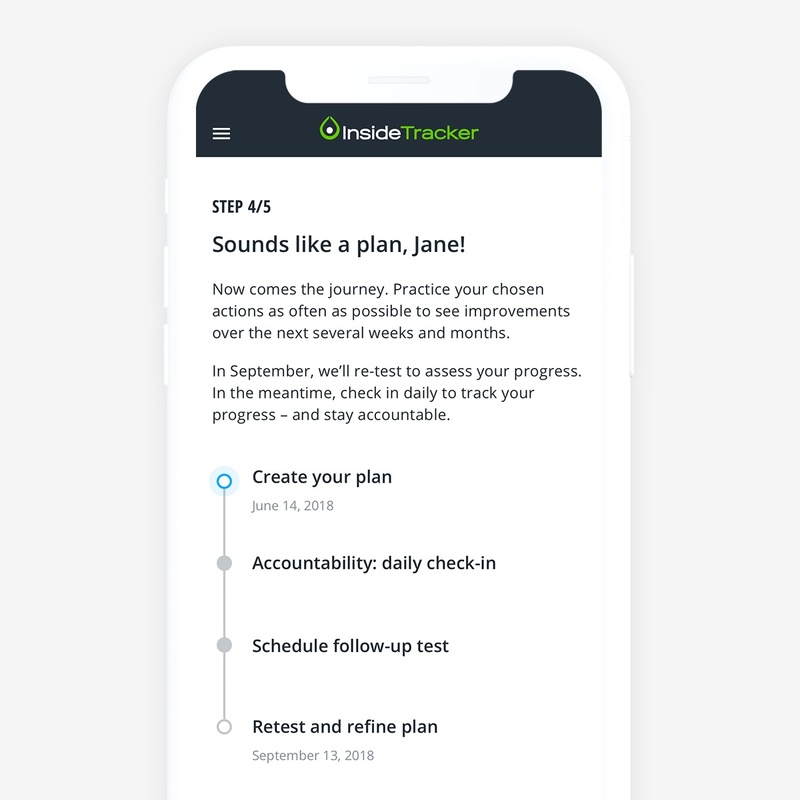 Making a habit of checking-in keeps you on track with the daily actions selected for your Action Plan. We’ve revamped the check-in process so it’s even easier (and more fun)! Sometimes, you just want to hit print. 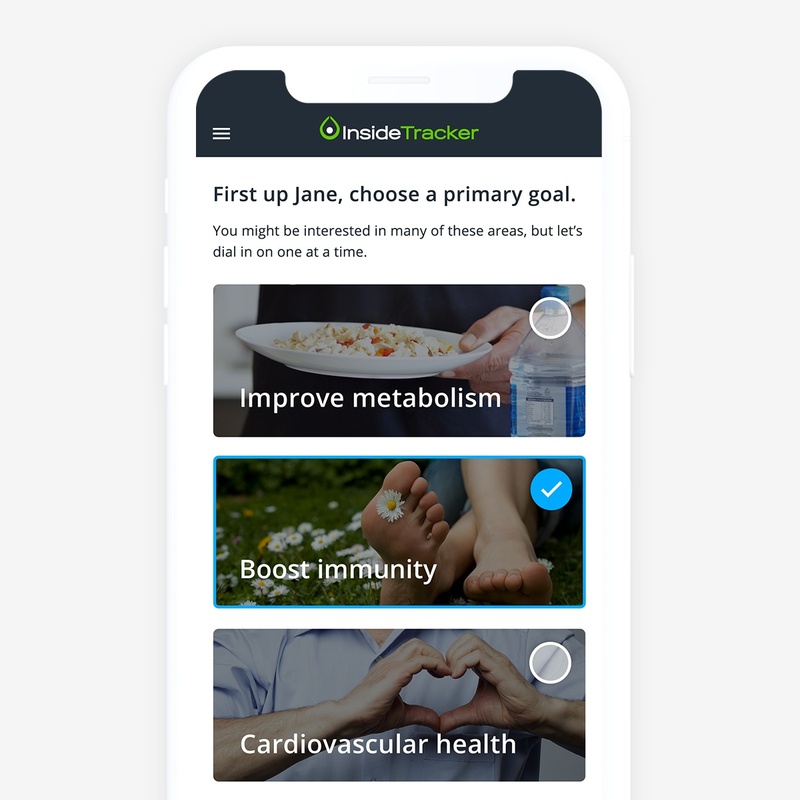 We get it – digital info is great, but paper is useful for sharing your results with a doctor or coach, or just for taking a break from screen time. Our designers have been hard at work creating a snazzy new printable PDF report for your bloodwork table view. Shopping when you’re on the go should be quick and painless. 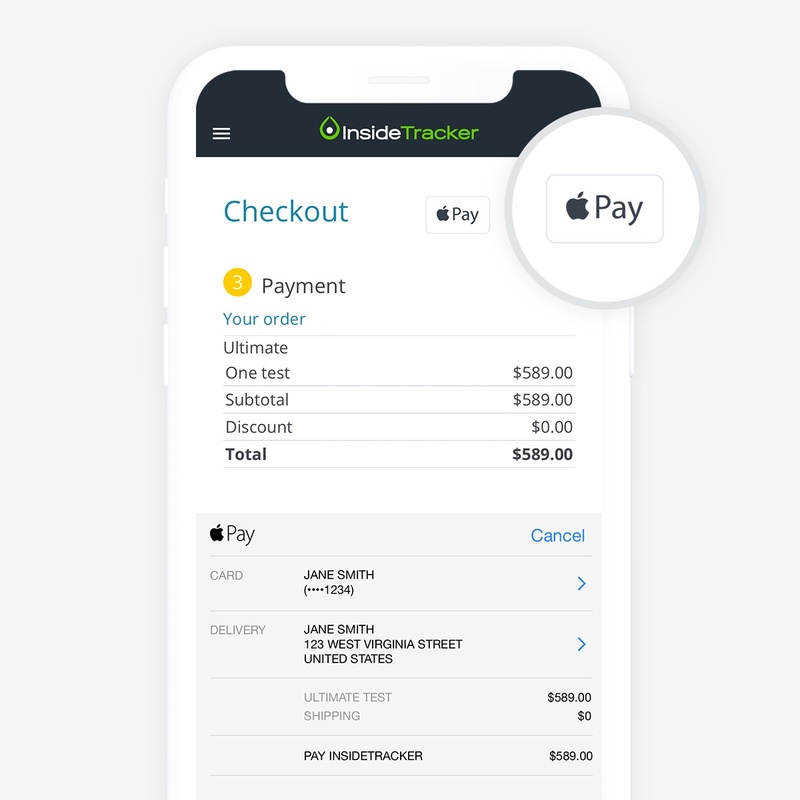 That’s why we’ve streamlined the checkout process and added ApplePay, in addition to PayPal, as a payment option. 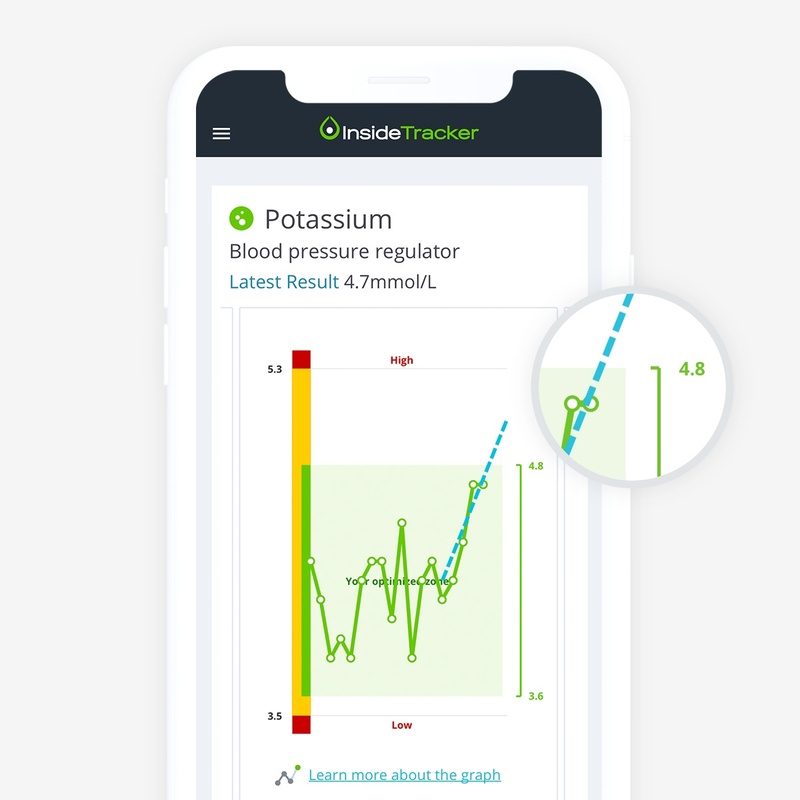 We’re pretty proud of who we are – from our incredible team of scientists, developers and creatives, to the robust scientific engine that drives our products. 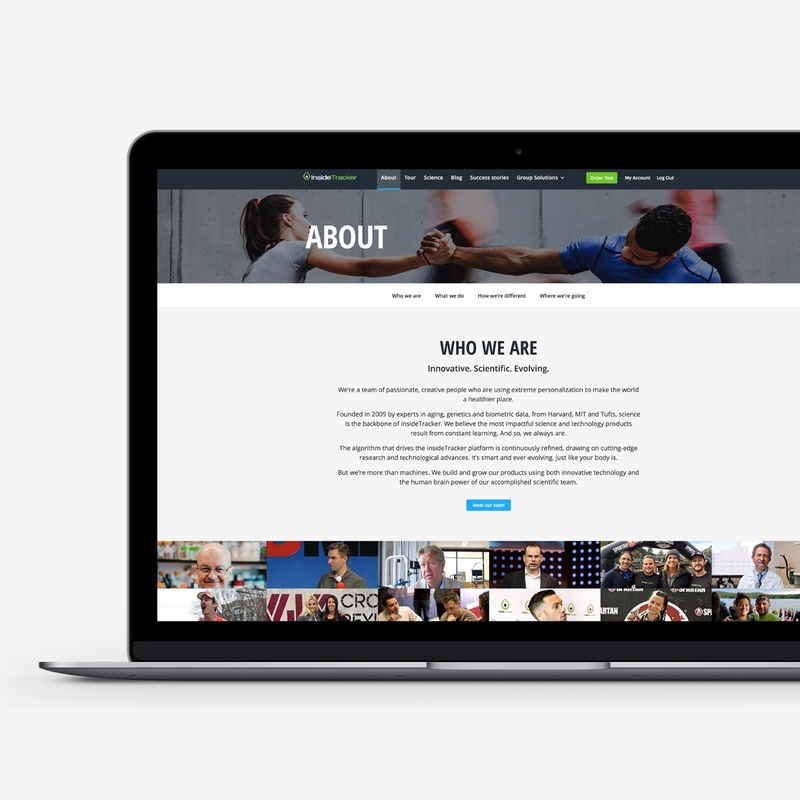 The brand new “About” page on our website tells the story of who we are, what we do, why we do it, and how we’re different. Check it out and let us know what you think! 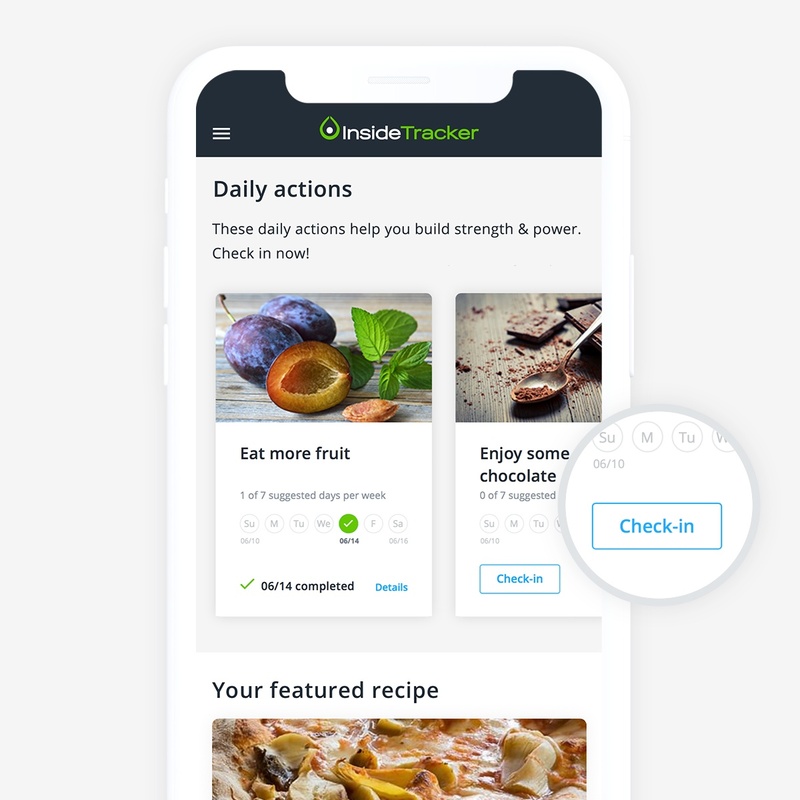 We’ve updated our image and added some new features! If you haven’t yet seen our sparkly new homepage, head on over and take a look. Suggestions? Questions? Your feedback is what makes us great. Drop us a line by clicking the button below!